Breakfast or dessert? 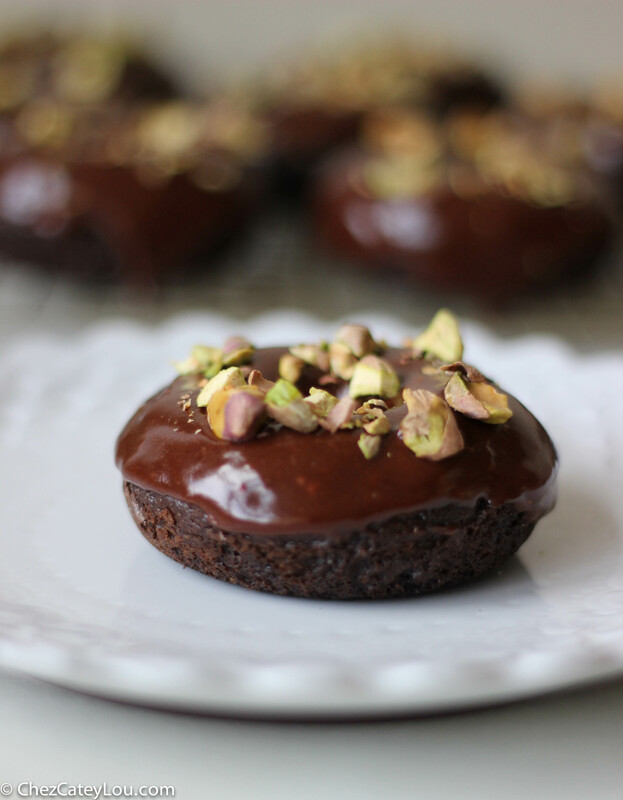 A moist chocolate cake covered with rich chocolate icing and topped with chopped pistachios – the description might sound like dessert, but the shape says breakfast so I’m going with that! 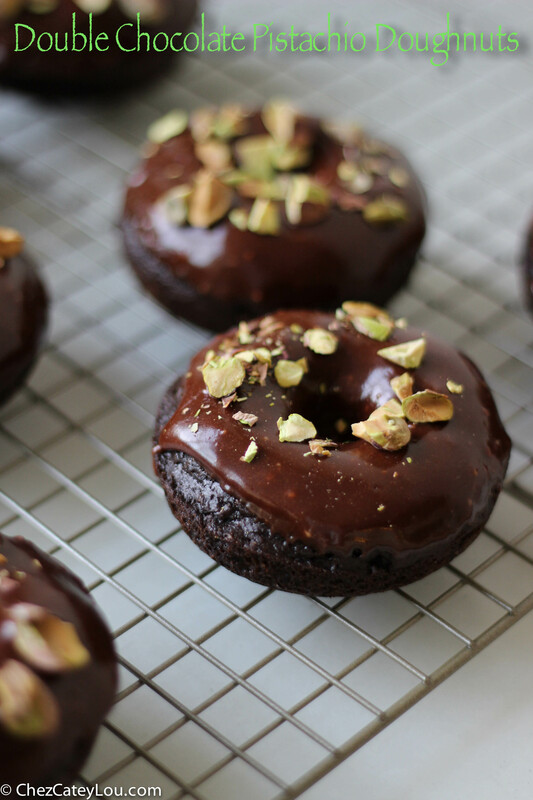 Baked Double Chocolate Pistachio Doughnuts – could there be a better breakfast? I’m really not sure. Except maybe buttermilk pancakes. Or pumpkin doughnuts. Ok fine, I can’t pick just one favorite breakfast, but these doughnuts are very high on the list. I mean just look at them! 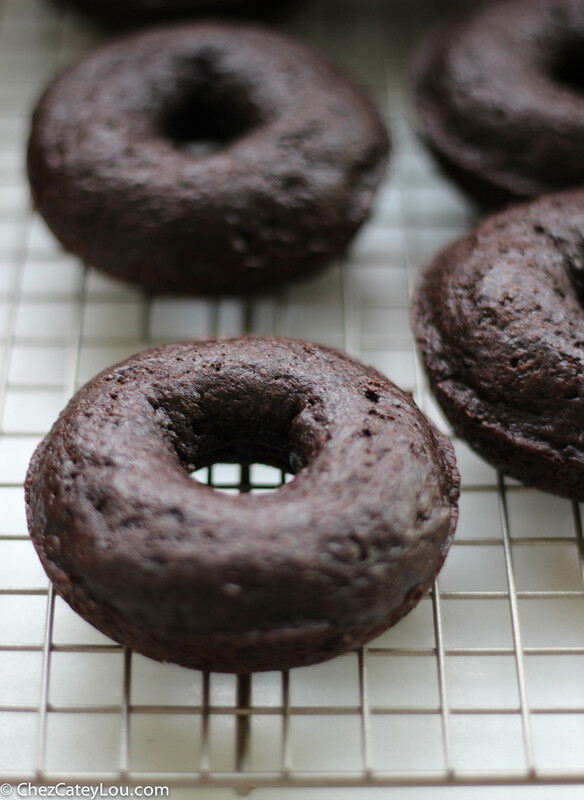 The moist chocolate doughnut has Greek yogurt in the batter, which keeps them light and moist, and gives an extra boost of protein. 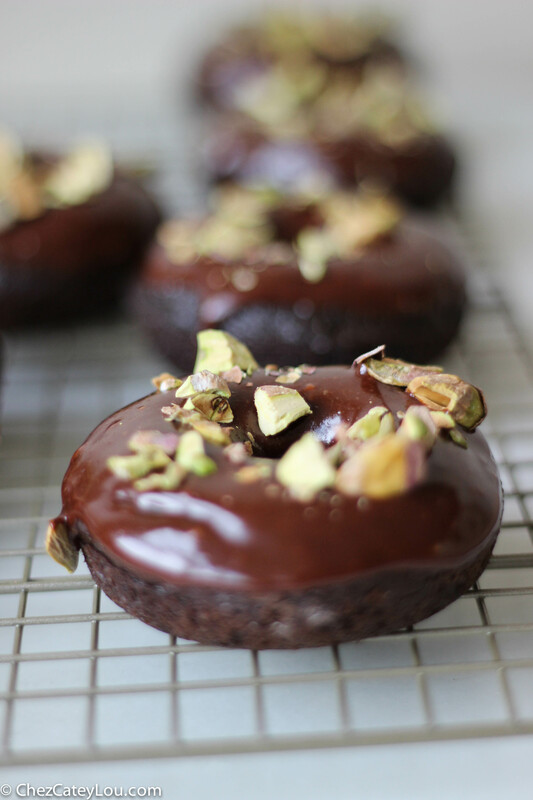 Then it is topped with a rich chocolate icing and finished with chopped, salted pistachios. The salty roasted nuts with the sweet chocolate is such an amazing combo – can’t beat sweet and salty! Not a pistachio fan? 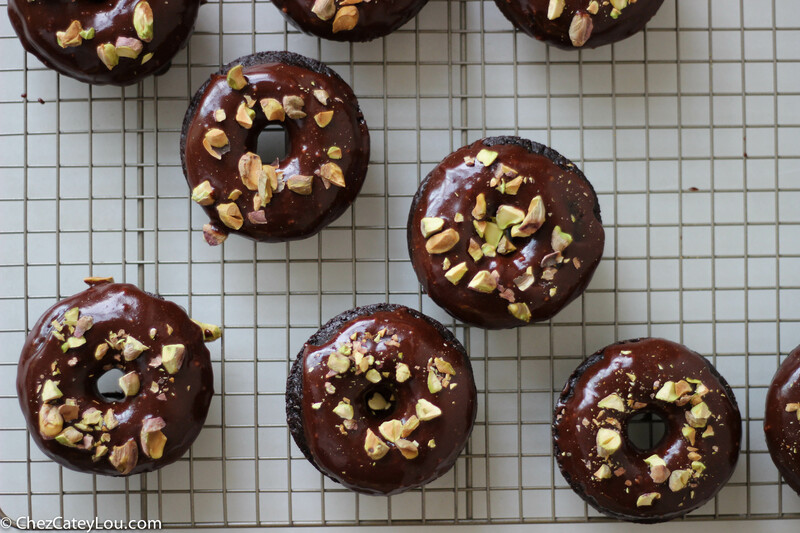 Top these doughnuts with any topping you like. They are like a blank canvas. Toasted coconut. Chopped Reese’s. Sprinkles! The possibilities are endless. So call them breakfast, call them dessert – whatever you call them, make these! They are delicious. The evolution of a doughnut: Pre-icing. 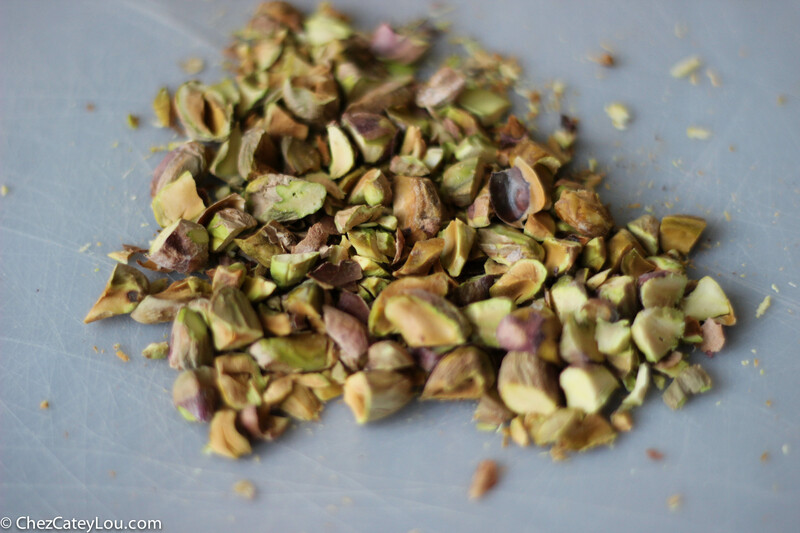 Chopped pistachios ready to join the party. Add in chocolate icing for a match made in heaven! In small bowl, whisk together the flour, cocoa powder, baking soda, and salt. In a medium bowl, whisk together the sugar and oil. Add the egg and whisk until well combined. Add the milk and yogurt and whisk thoroughly. Stir in the vanilla. Using a teaspoon, spoon the batter into the doughnut pan, filling each doughnut about half full. Bake for about 7 minutes. Let the doughnuts cool in the pan for a few minutes, then turn them out onto a wire rack to cool completely before frosting. Melt the butter in a saucepan on low heat. Add the milk and corn syrup and whisk until combined. Stir in the vanilla. Add the chocolate, and whisk until the chocolate is melted. Take the pan off the heat, and whisk in powdered sugar, until no lumps remain. 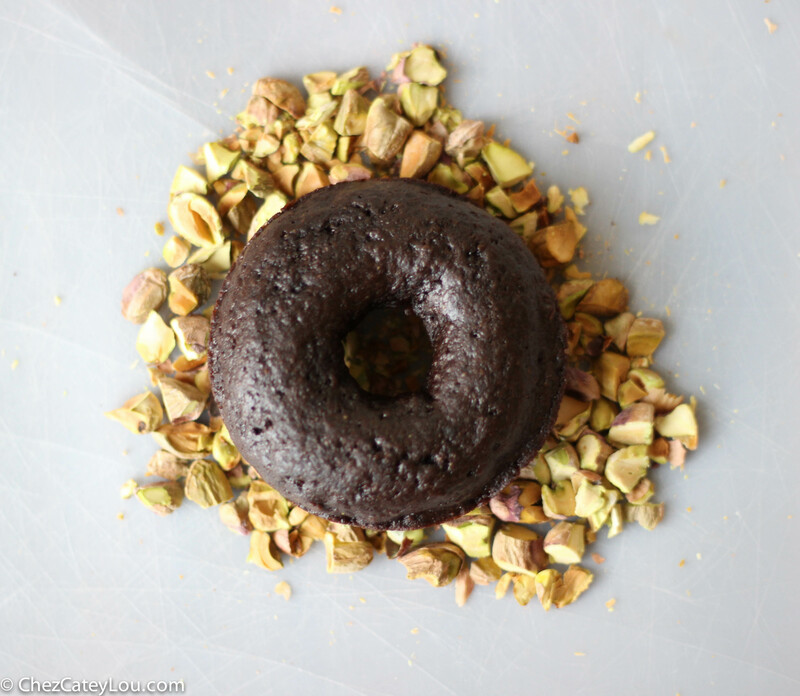 Quickly dip the top of the doughnuts into the icing, and then sprinkle with chopped pistachios. If the icing starts to harden in the pan, just place the pan over a bowl of hot water and whisk until smooth again. Thank you so much, and thanks for pinning! I just got a new camera, http://www.bhphotovideo.com/c/product/753762-REG/EOS_DIGI_REBEL_T3I_w_EF-S_18-55_IS_II. I am loving it so far! Thanks for the link. It really is a great camera! I just want to lick the screen. Your photos are stunning and the donuts are just so delicious!!! Thank you so much! I have been loving my new camera, it is so much fun to play with! BOTH for breakfast and dessert! 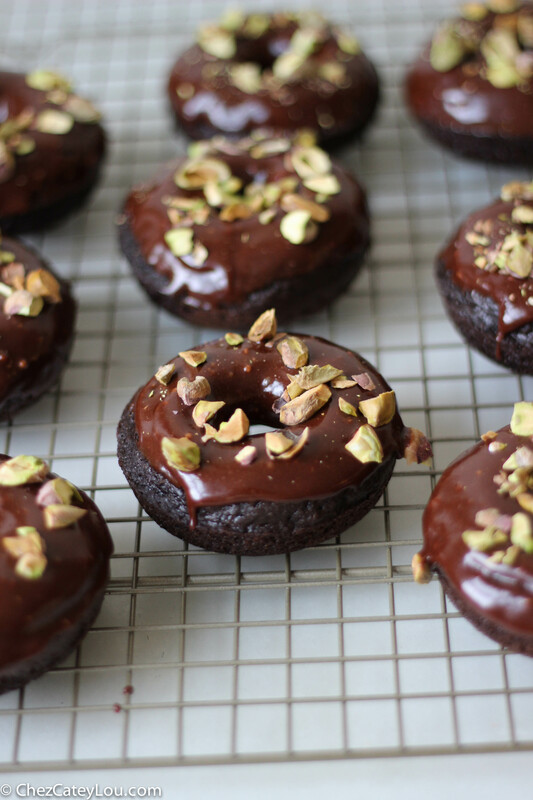 Your doughnuts look so beautiful and delcious. That glaze is calling out to me. Thank you! The glaze was so good…I might have had a spoonful or two of it plain…. I am always feeling guilty myself– eating some delicious baked goods for breakfast! I like to call them “special breakfasts”! Your photos are terrific. Supper is really not a bad idea….! Thanks! 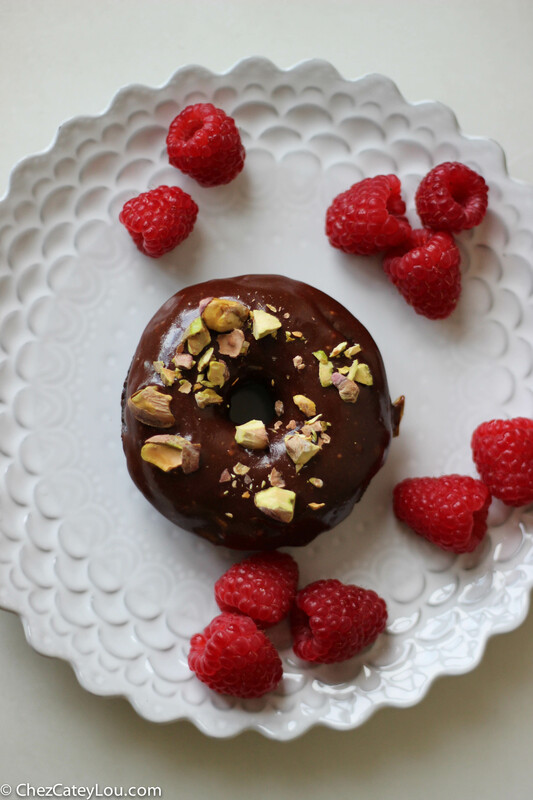 I love making baked doughnuts – I feel a little bit healthier eating them! these look SO delicious! i love pistachios so much. Thanks! 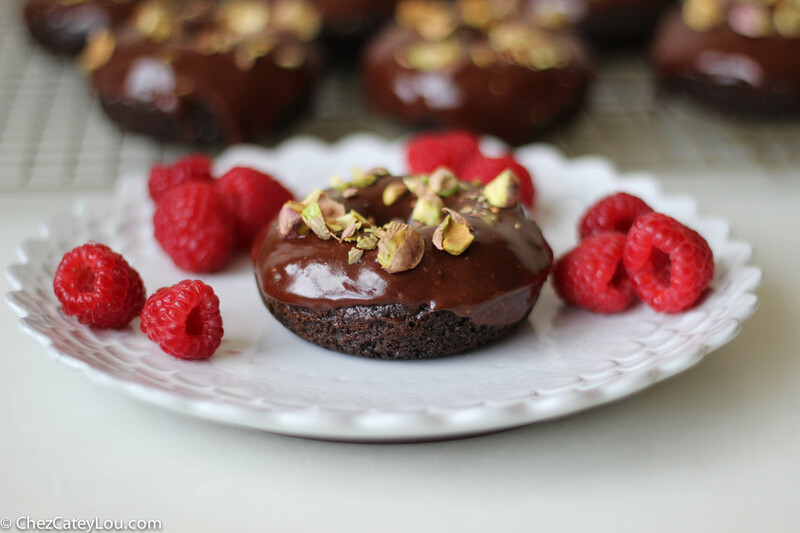 Pistachios are so great – especially with chocolate! We call those Chocolate/Chocolate down here and they sell out before 6AM each morning – so you can guess how often I actually get them. Now I can just make them!! This is wonderful! I’m definitely going to try these soon.